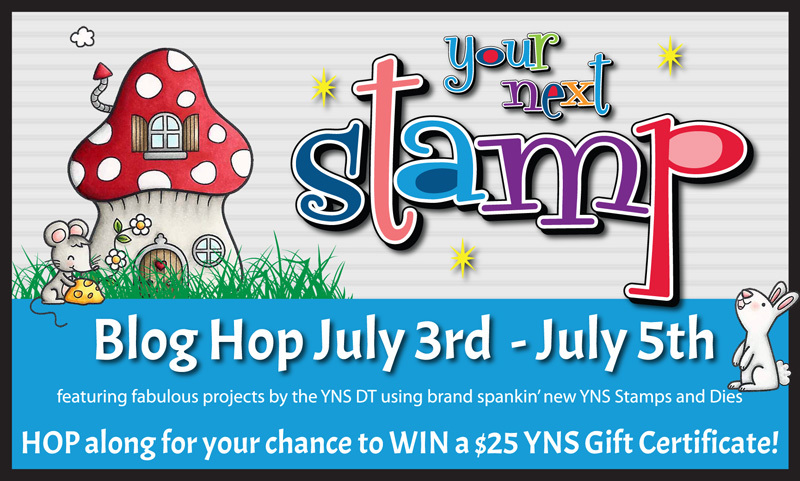 Welcome to the Your Next Stamp July New Release Blog Hop! I hope you have been hopping around getting lots of inspiration on what you can create with this Fabulous release! My head is just spinning with ideas! This set came at perfect time of the year for me, with school ending it was perfect for Teacher Appreciation cards! This set will get A lot of use i think, its Sooooooo much fun to play with and the possibilities are truly endless! Be sure to leave a comment on all the blogs as you hop along! 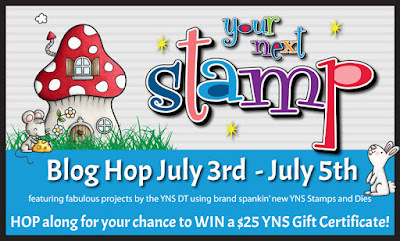 There is a $25 YNS gift certificate to be Won!! 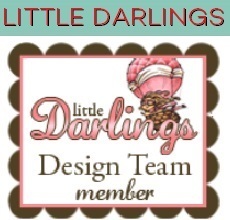 There is also a discount code so you can pick up some of the Fab new Goodies! Here is the Blog Hop line up. 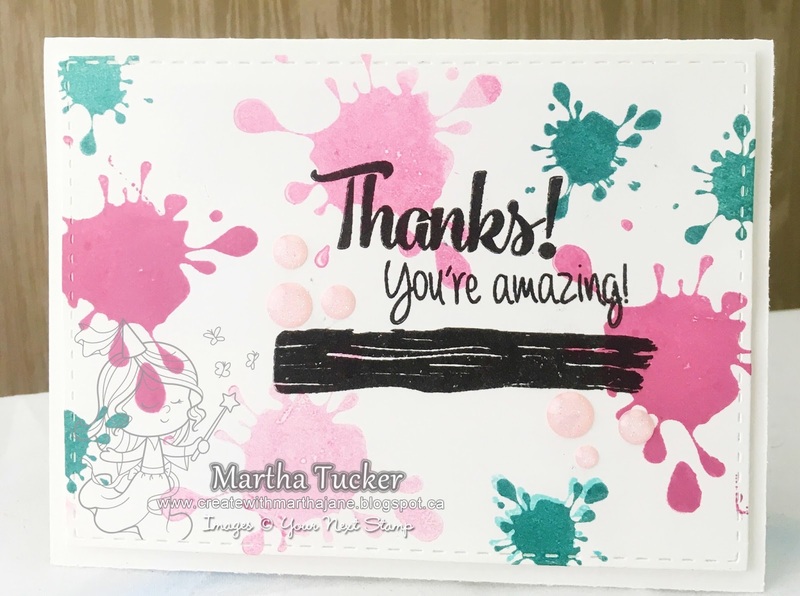 Love the teacher appreciation card, so bright and colorful and love the Splatters card in pastel colors! What a sweet school card and I love the pastel splatters! Fun cards Martha! I especially like the first with the b&w scribbles as the base. Such adorable cards! What a great release! So cute and fun! I am loving this release! Especially the paint swooshes and splatters! Love your cards the bus us to cute... can't wait o see more..
Great cards! I really like the school images. I can't get enough of the paint splotch and scribble sets! Great cards! What sweet cards. Just love the backgrounds. Very creative. Great new release. The paint swooches stamp set is going to sell like crazy! Love it!!! The paint swooshes & splatters is definitely my favorite - so fun! Awesome cards. What fun cards. Great job. Fun cards! I love the school themed designs and the fun scribble background! These colours is so pretty. Fun card. Love the pretty splatters. Love the bus card, my grandson is really into them....could be the color. Great work! Super cool cards!! Love those paint splatters! That first card is adorable!!! Who can pass up a cute little schoolbus?! And that second card is so pretty and fun!! Love your color combo. Wonderful cards I really like the cute images in the school set. Both cards look awesome! LOVE the paint splatters! Such a fun cards. Love your designs. Awesome cards, I agree the paint swooshes & splatter is defiantly a go to stamp set for many projects! LOVE the swooshes & splatter stamps!! Super cute cards. Great stamp sets. The school themed card is just the cutest!!! The happy bus from School Notes is just the most cute & happy thing I've seen in a very long time, not to take away attention from the other fine images. The coloring is great. Super card for a teacher's well-done job at school. Good job. Both cards are so cute! Love your inspiration! Both cards are just Wonderful!! Love the super fun details on the backgrounds! Adorable cards! I love the school bus!! What a terrific release! Great. Love the scribbles on both cards. Cute and colorful background withgreatcard. Cute card designs! I really like the new school stamps.